It has been said that simplicity is the ultimate sophistication. PERLAVITA's solid opaque Murano glass charm beads are a testament to this saying. 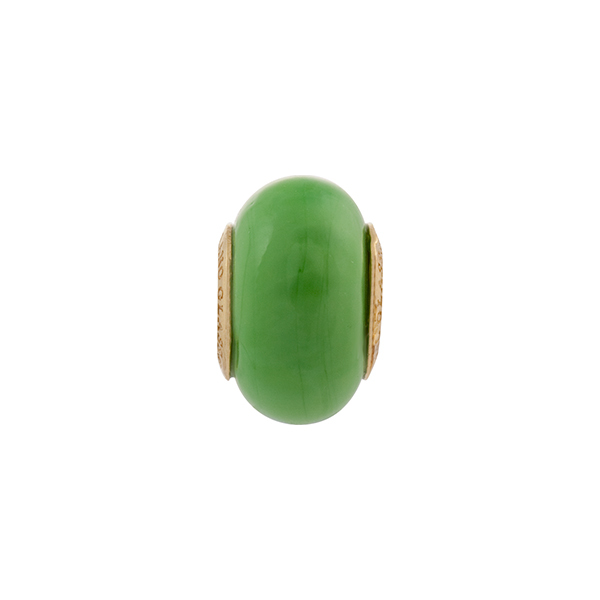 Easy to incorporate as an accent, yet elegant enough to design around, this opaque green bead is a standard for any charm bead collection. Approximately 14mm tall by 8mm wide with gold-plated sterling silver inserts. Compatible with most brands of European charm systems.